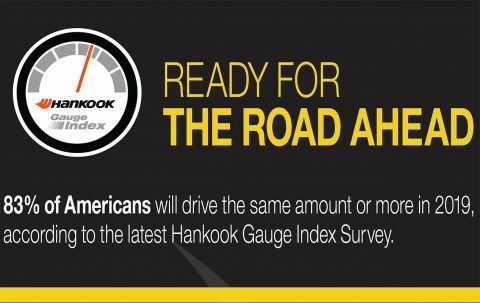 Nashville, TN – Drivers are hitting the road this year as 83 percent of Americans say that they expect to spend the same or more time behind the wheel in 2019, according to Hankook Tire’s latest Gauge Index Survey. Commute time (40 percent) was cited as the top reason for more time spent on the road, with drivers 18-34 years old most inclined (53 percent) to accept longer commutes for the right job. Economic conditions (38 percent) is also a key influencing factor among all respondents. 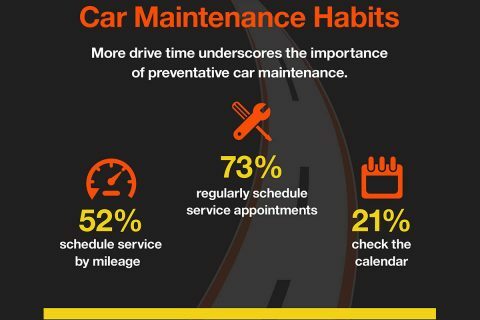 More time driving means more wear and tear on your vehicle, emphasizing the need for preventative maintenance. 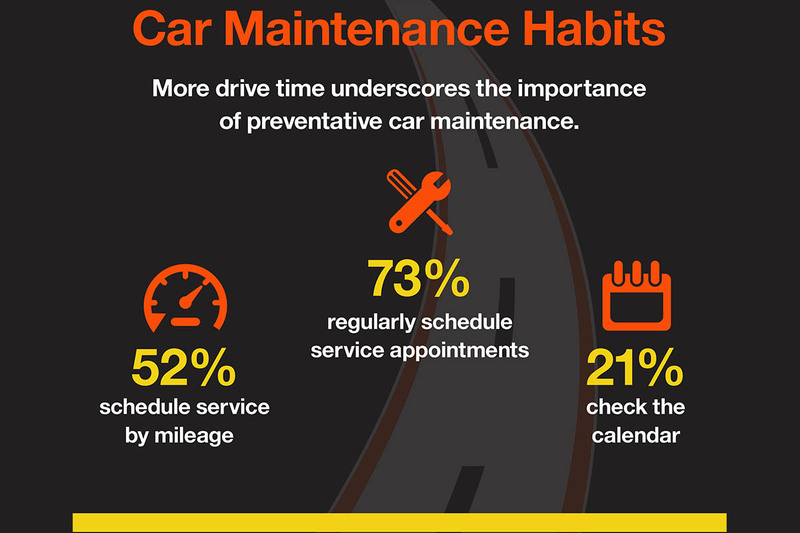 Fortunately, nearly three-in-four Americans (73 percent) adhere to a schedule for regular auto service appointments. The Gauge revealed that 52 percent of drivers take their cars into the shop based on a set mileage interval, and another 21 percent do so at regular intervals. 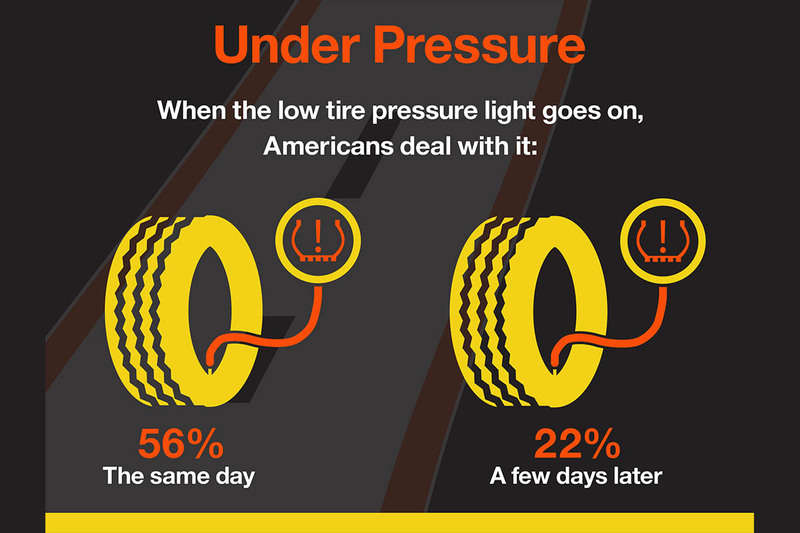 Tire pressure is one alert that gets drivers to take action as 56 percent of drivers will address the low tire pressure warning light the same day, according to the Gauge. Experts recommend deferring to your owner’s manual for the best maintenance schedule for your vehicle’s parts including drive and timing belts, fluids, filters and tires. [320left]“With the additional miles that Americans expect to put on their car this year comes added stress to the car’s engine, transmission, suspension and especially the tires,” said Todd Walker, spokesperson for Hankook Tire America Corp.
“The tires are the only part of the car that are always in contact with the road. Preventative tire maintenance, including tire rotation, inflation and suspension alignment, is essential to avoid abnormal tread wear, keep your tires running smoothly, and maximize your car’s overall performance,” Walker stated. Occasionally, repairs just aren’t enough, and a replacement vehicle purchase becomes necessary. When shopping to buy a new vehicle, despite all of the new options available to consumers, Americans still trust car dealerships as three-quarters purchased their last car or truck from a dealership. And nearly one-in-five (19 percent) drivers on the road bought a new car within the last year. 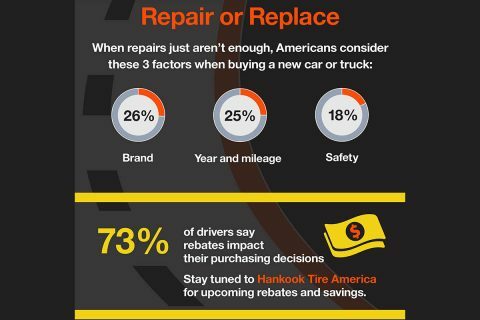 [320right]Buying a new vehicle comes with a lot of choices, but Hankook found that brand (26 percent), year and mileage (25 percent), followed by safety (18 percent) are the most influencing factors for Americans, besides price. The Gauge also revealed that while men and women both prioritize the brand, men also consider the car’s resale value whereas women give precedence to the year and mileage of the car. Additionally, the Gauge revealed that when it is time to look at the price, Americans are cost-conscious, as 61 percent say a rebate would make them more inclined to purchase a particular car or truck. The Hankook Tire Gauge Index is a quarterly survey of Americans’ attitudes and opinions about all things related to driving. The latest installment of the survey, conducted February 14th-17th, polled 1,171 randomly selected Americans. Hankook Tire America Corp. is a growing leader in the U.S. tire market, leveraging investments in technology, manufacturing and marketing to deliver high-quality, reliable products that are safer for consumers and the environment. Headquartered in Nashville, Tennessee, Hankook America markets and distributes a complete line of high-performance and ultra-high-performance passenger tires, light truck and SUV tires as well as medium truck and bus tires in the United States. Hankook Tire America is a subsidiary of Hankook Tire Co., Ltd., a Forbes Global 2000 company headquartered in Seoul, Korea, and led by President and CEO Hyun Bum Cho.